The AARP Life Insurance Program is underwritten by New York Life Insurance Company. These are New York Life’s ratings as of October 2018. Is AARP Life Insurance Right for You? For more than two decades, AARP has offered life insurance to its members through an exclusive arrangement with New York Life. This means the nearly two million members currently enrolled in the program are technically covered by New York Life, a company included in JD Power’s most recent list top-5 life insurance providers. *Rates calculated as of October 19, 2018. AARP offers seniors a variety of policies – with none requiring a medical exam to qualify. AARP’s Level Benefit policy offers $100,000 in coverage (provided applicants are in good health). However, AARP does not turn away those applicants with pre-existing conditions, making its Permanent Life Insurance policy an attractive choice for individuals dealing with medical issues (although coverage caps out at $50,000). AARP offers a variety of policies to applicants who are 50 and above – including offering AARP Level Benefit Term Life policy holders the guaranteed option to transition to an AARP-endorsed group permanent life insurance policy once they turn 80. For nearly every policy offered, AARP only requires that an application be completed. (There is no required medical exam.) And, although, AARP offers up to $100,000 in coverage, only $50,000 in coverage is available if you opt for a term life policy. When it comes time to select a policy, AARP members have three main options to choose from. The good news is that none of AARP’s life insurance policies require a medical exam—acceptance is based entirely on answers to health questions and other general information. The three types of insurance you can purchase from AARP are term life, permanent (or whole) life, and what AARP calls a guaranteed acceptance policy. As the chart illustrates, coverage, premiums, and benefits vary widely. All policies are issued based on answers to a health questionnaire and other information collected in the initial application. Term insurance offers no benefits beyond the stated dollar value of the policy. In other words, there is no investment or savings component. Term life guarantees payment upon notification of the insured’s death if the policy is active and has not reached its termination date. AARP offers its term life policy to members ages 50–74, with spousal coverage for people 45–74. There is no waiting period, and death benefits range from $10,000 to $100,000, before terminating at age 80. Like most policies, premiums are calculated upon enrollment and incrementally increase as the insured ages. For example, a policy issued at age 56 will see rate hikes at ages 60, 65, 70 and 75. Permanent life insurance, sometimes called whole life, offers coverage that does not expire before the death of the insured. Additionally, whole life offers a savings component enabling policyholders to borrow from future premiums if needed. At age 85, the coverage amount for policyholders automatically increases by 30% with no change in the premium. Premiums are based on the insured’s initial age and do not change as policyholders age or health conditions change. Premium payments discontinue as of age 95, but coverage continues until death. All applicants are guaranteed acceptance for life insurance once they meet the age requirement; however, this plan generally has lower coverage amounts and higher premiums than other guaranteed policies. AARP offers its guaranteed life product to those members age 50–80 (and spousal coverage from age 45–80). Death benefits range from $2,500 up to $25,000, will never decrease, and are available for life. There is no waiting period with this plan, but benefits during the first two years of coverage will pay only a portion of the death benefit. Full benefits are available for any accidental death as of the first day the policy is active. Premiums are based on the insured’s initial age. They do not change as you age regardless of health changes. Premium payments will end at age 95, but coverage will continue in full for the rest of your life. Note: there are exceptions to the information provided above for different states, for different ages, and for different coverage amounts. As you can see, AARP is the highest cost at age 60, but, in the scenario described above, it offers the lowest rates at age 64, it is the lowest. Because each consumer has unique needs, we suggest evaluating your changing needs to make sure AARP is right for you. Or contact one of our licensed professionals at (888) 234-8376 to discuss your life insurance options. How is AARP’s Customer Service and Claims Processing? Rates are only one thing to consider when selecting an insurance provider. Equally important is the company’s reputation when it comes time to file a claim and receive benefits. As already mentioned, customer support is one area where AARP falls short. J.D. 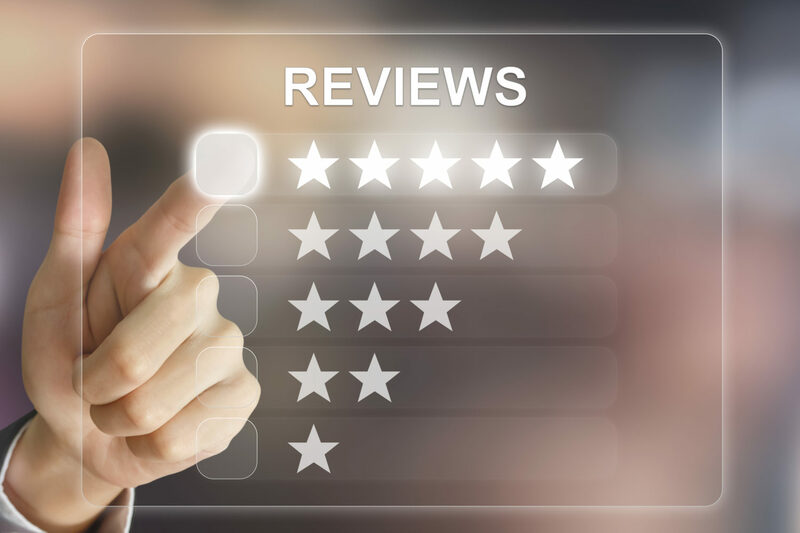 Power gave AARP three (out of five) stars for customer satisfaction, though AARP does offer members an informative Learning Center where articles on financial planning and policy management are available. However, their website offers no live chat features, which means there’s no quick way to get questions answered. Also, the AARP site is not yet mobile-friendly. AARP does offer a robust claims settlement process that begins with requesting a downloadable Claims Packet. (Or customers can dial a toll-free number to file a claim.) Either way, customers will need the deceased’s Social Security number, date of death, the cause of death, and an original death certificate. Claims typically take between 45 and 90 days to process. 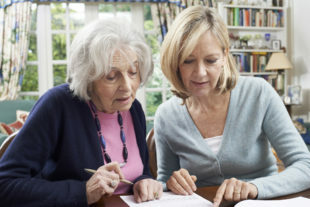 Is there any way I can be insured past age 80 if I purchase the term life policy? Yes. Switch your AARP Level Benefit Term Life Insurance for AARP-endorsed group permanent life insurance until the policy ends at age 80 (or any time before that). This privilege is guaranteed, and you will not be required to take any medical tests or answer any health questions. Your age determines rates at that time. Does coverage end at a certain age for the permanent life policy? No. AARP Permanent Life Insurance allows for coverage for the remainder of your life. If you paid your premiums and did not make material misrepresentations about your health on your application, then at age 95, your coverage is considered “paid up.” No further premiums will be needed. Does coverage end at a certain age for the guaranteed acceptance life policy? No. AARP Guaranteed Acceptance Life insurance is in effect for your lifetime. At age 95, as long as all premiums have been paid, coverage is considered “paid up.” No further payments will be required. Who is AARP’s Life Insurance Right For? Still unsure about which life insurance provider is right for you and your needs? Give us a call. We work with many of the top life insurance companies and one of our licensed insurance agents can help you find a policy that works for you. TermLife2Go enables you to work with a single agent dedicated to your specific circumstances while searching for a life insurance policy. TermLife2Go does not sell life insurance; instead, it focuses on helping you find the best policy for your needs. This help includes walking you through any application, providing updates as the process moves forward, and answering any questions that may come up. So, call today! TermLife2Go is waiting to discuss your needs. We will find the best options available to you based on your age and financial needs. Call today! 1-888-234-8376. Thank you for reading the AARP Life Insurance Review for 2018. Please leave any questions or comments below. Request information on permanent insurance from AARP. I am a 54 years old Male and my wife is 52. I’m looking for a policy that goes beyond 80 years old. Call us at (888) 234-8376 to talk with a licensed agent. Let’s talk. Call us at (888) 234-8376 to talk with a licensed agent. Give us a call us at (888) 234-8376 to talk with a licensed agent. Call us at (888) 234-8376 to talk with a licensed agent. and we can discuss. We’ll need some additional information in order to provide you with an accurate quote for a $100,000 – 200,000 life insurance policy. An agent will reach out to you via email or you can call us at 888-234-8376. Sounds good, just give us a call and we’ll do our best to help you out. We would love to send you out some literature however, we would need to know more about what exactly you are looking for before we would know where to start. if i were to get membership and life insurance, 100,000 dollars for 10 years .what would the rate be and if i were to die would my beneficiary receive full amount @yahoo.comafter 2 years? Since we are not AARP, you would need to contact them directly to discuss what you would be able to qualify for. After you’ve done this we would recommend that you give us a call, and then compare what we can offer vs what you’ve been offered through AARP. Our quoter will instantly provide rates from various insurance companies, so if you’re just looking to see what rates you may qualify for, that would be our suggestion. Now if you want to get a better idea on exactly what “rate class” you would qualify for, we would suggest that you give us a call. What does health class mean. Basically the term “Health class” refers to how an insurance company will determine if they wish to offer a life insurance applicant coverage and at what price. You can learn more about health classes by either giving us a call or just take a look at the article we wrote that focuses on this topic.